Harold E. “Pete” Barnett, 94, of Cambridge passed away Thursday (August 9, 2018) at his home. He was born September 7, 1923 in Derwent and was the son of the late Ira R. and Evelena (Thacker) Barnett. Pete retired from B &O and Chessie System railroad after 35 years of service as a control agent. 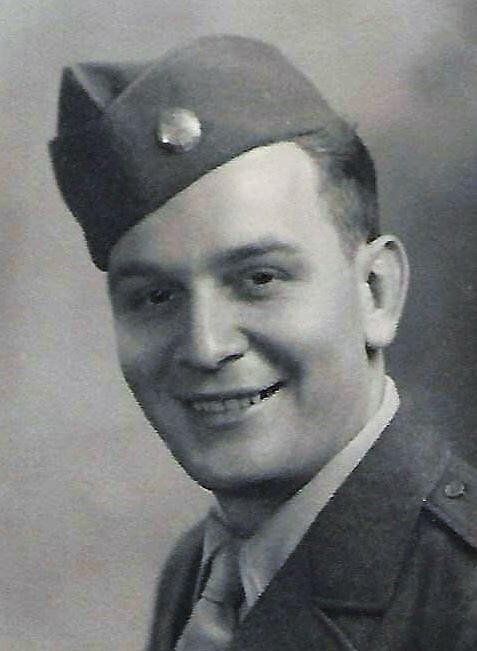 He was a graduate of Valley Local High School, and served in the U.S. Army Air Corp during WWII in the China-Burma area, and 27 months in India. He was a life member of VFW #2901 and Main Ave. United Methodist Church. He was a 32 degree Mason and Past Worshipful Master of Byesville Masonic Lodge #654 for sixty five years, and a member of Guernsey Chapter Eastern Star #211 of Cambridge. He was a former assistant Scout Master for Troop #46 in Byesville, a member of Order of the Arrow Lodge #424. Mr. Barnett always put others first, was kind hearted and honest beyond reproach. In addition to his parents he was preceded in death by a sister Irene Congleton and a brother Donald Barnett. He is survived by his wife of seventy one years Shirley (Hutton) Barnett whom he married February 8, 1947 at St. Francis Hospital; two sisters, Betty Conrad and Bonnie Barnett both of Canton; five nieces, two nephews, several great nieces and nephews. Shirley would like to thank all their caregivers over the past few years. Calling hours will be Sunday from 2-4 p.m. at Black-Epperson Funeral Home, Byesville where services will be 1:00 p.m. Monday with Pastor Nancy Parsons officiating. Burial will be in Greenwood Cemetery.